Dr. Rachel Walters Adams' particular clinical interests include surgical emergencies and polytrauma. Dr. Adams loves to play and watch ice hockey, especially the Pittsburgh Penguins. Other favorite pastimes include snowboarding, soccer and running. Her family includes her husband, son, and two dogs: Shetland sheep dog Reese, and Catahoula mix Trafford. Dr. Jonathan Anderson considers challenging surgical cases to be the most rewarding, but particularly enjoys complicated fractures, other orthopedic injuries, polytrauma, minimally invasive thoracoscopic surgeries and thoracic tumor removals. Dr. Anderson enjoys skiing, both water and snow, home renovations, and restoring/using early to mid-century American-manufactured woodworking machinery. He and his wife have three rescued dogs: yellow lab Bosun, golden retriever mix Cal Naughton, Jr., Jr., and Newfoundland Rookie. Dr. Isla Arcaro enjoys challenging conditions, like sepsis, a life-threatening response to infection; pheochromocytoma adrenal gland tumors; and diaphragmatic hernias. Creating multi-modal pain management plans for patients with polytrauma or chronic pain is another special interest. Dr. Arcaro enjoys traveling the world, kayaking and yoga. She has three cats, Quiz, Lefty and Potato. Dr. Kelsey Arrufat is a surgical resident. Her particular interests include soft tissue surgery, wound management and emergency surgical procedures. 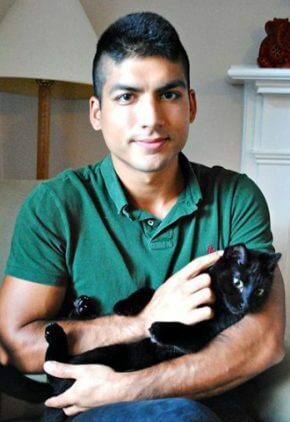 Dr. Arrufat likes to stay active, cross training, weightlifting and spending time outdoors. She has two Chihuahuas, Chloe and Capone. 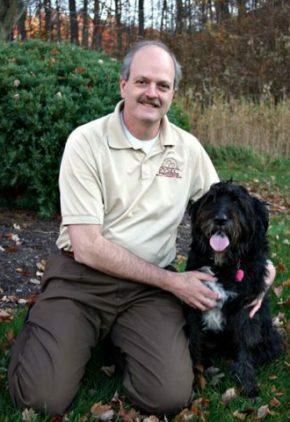 A veteran in the veterinary ophthalmology field, Dr. Lawrence Bagley started and owned his own practice in Pittsburgh for 20 years before joining BluePearl. His special interests include cataract surgery with lens implantation, corneal disease and eyelid disorders. Married with three children, Dr. Bagley volunteers with youth organizations, his church and with his children’s schools. He coaches his sons’ baseball teams, plays on softball/basketball teams and cheers on all the Pittsburgh professional teams. The family has two beagles, Gimme and Tucker. 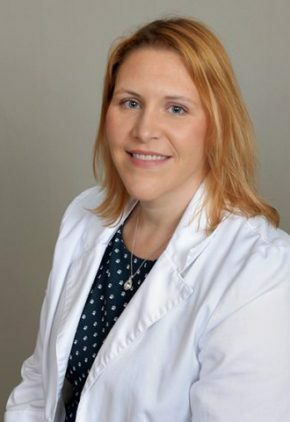 Dr. Kendra Bohn’s particular clinical interests include neurosurgery, treatment of auto-immune diseases of the central nervous system, and brain tumors. Dr. Bohn enjoys horseback riding, Japanese language and culture, hiking and reading. Her pets include horse Scarlett and Scarlett’s foal Talia, goldendoodle Fozzie, and cats Janaki, Adeline and Indigo. Dr. Jennifer Bornkamp chose anesthesiology because it brings physiology, pharmacology and patient care together. 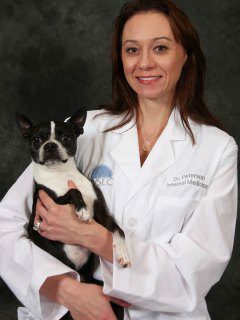 She is also certified in veterinary acupuncture and tui-na (acupressure & massage). Dr. Bornkamp enjoys hiking and kayaking. She has two dogs, Candice and Odie, and two cats, Mosquito and Moxa. Dr. Katlyn Briel finds neurologic diseases and auto-immune diseases particularly rewarding to treat. Dr. Briel’s favorite pastimes include following her favorite sports teams, the Boston Red Sox and the Tennessee Volunteers, and traveling. She has a great Dane named Big Papi and a cat named Jacoby. Dr. Shari Brown particularly enjoys treating dental and dermatology cases. Dr. Brown’s favorite pastimes include reading and traveling. She is married with three daughters and two cats, Cody and Flower. Within the critical care field, Dr. Kelsey Casey particularly enjoys treating respiratory disease, polytrauma, sepsis, blood dyscrasias and Addison's disease. 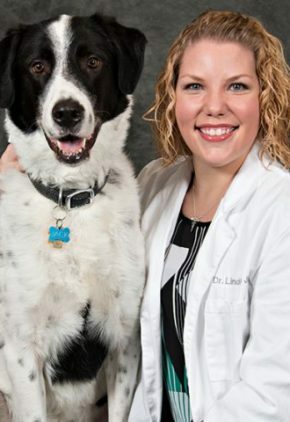 Dr. Casey and her husband have one daughter and a house full of pets: golden retriever Louie, Portuguese water dog Splash, coconut retriever Dee and tuxedo cat Jax. Dr. Hope Chisnell's particular clinical interests include trauma surgery and wound management/reconstruction. Dr. Chisnell likes to stay active with fitness classes, running, lifting weights, water activities and cycling. Her pets include mixed breed dog Pucky, bulldog mix Baloo, and three cats, Kinta, Daku and Loki. Dr. Brendan Cloonan’s clinical interests include polytrauma, head trauma, enucleations, laceration repair, toxicities and orthopedics. Dr. Cloonan is a die-hard Steelers fan who enjoys golfing, hiking, kayaking and trying new restaurants and breweries. He and his wife, a general practice veterinarian, have two dogs, Bubba Gump and Ox. 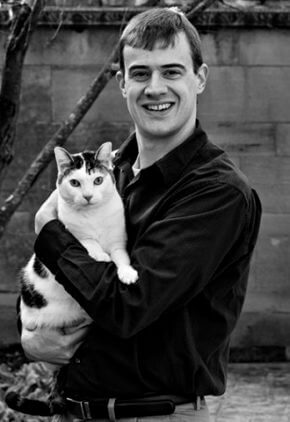 Dr. Matthew Cluett is a small animal medicine and surgery intern. Married to a dairy veterinarian, Dr. Cluett and his wife enjoy hiking, camping, movies and games. The couple has two dogs, Buddy and Robin; three cats, Gabby, Grif and Ghira; and two quarter horses, Red and Justice. Dr. Julie Compton finds perineal surgery, thoracic surgery and trauma cases particularly gratifying to treat. Dr. Compton is a fast pitch softball coach and enjoys gardening and travel. She and her wife have three kids. The family pets include German shepherd Tisha, Doberman Luther, French bulldog Margeaux, and cats Black Betty and Rascal. Dr. Devin Cunningham is particularly interested in small animal surgery. 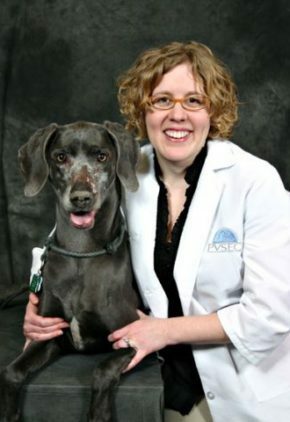 Dr. Amy Dickinson was an instructor and staff clinician at the Royal Veterinary College in London then a clinical instructor at the University of Wisconsin. Her clinical interests include sepsis, ventilation therapy and coagulation disorders. Dr. Dickinson enjoys swimming, running and traveling. 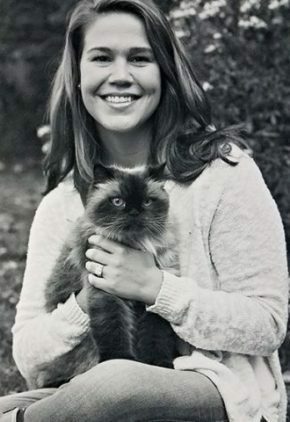 She and her husband, also a veterinary criticalist, have two daughters, a cat named Mona, and an energetic Labrador named Harriet. 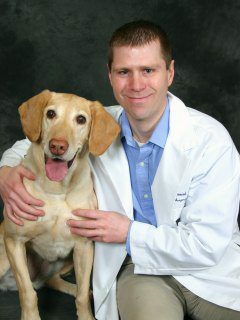 Dr. Tim Donihee is a small animal medicine and surgery intern. Dr. Donihee loves being outdoors, especially camping and hiking. He also likes cooking and going to the gym, and he has an extensive travel to-do list. 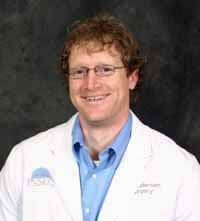 Prior to joining us, Dr. Michael Doornink was a clinical instructor at Auburn University. Trained in soft tissue, oncologic and orthopedic surgery, he is particularly interested in minimally invasive orthopedic procedures and oncologic reconstruction. He also has a special interest in the pharmacokinetics and pharmacodynamics of antimicrobials and has lectured on antimicrobial use and orthopedics. Dr. Doornink enjoys fishing, conservation land management and hobby farming. Married to another veterinarian, their family includes yellow lab Samford T. Coates, and feline brothers CBSB and Weagle C. Newton. Dr. Todd Erfourth likes how rapidly the oncology field is evolving especially with the increasing availability of immunologic and molecular targeted therapies. He finds treating lymphoma cases particularly gratifying. Dr. Erfourth’s favorite pastimes include golf, going to the movies, running and travel. He and his wife have a boxer mix named Bentley and two cats, Moses and Cringer. Prior to joining BluePearl, Dr. Michael Finn was a clinical assistant professor at Oklahoma State University. His particular clinical interests include cataract surgery and corneal surgery. Dr. Finn volunteers his expertise with the annual free service dog eye exams, sponsored by the American College of Veterinary Ophthalmology. Dr. Alyson Frederick is a resident in our surgery service. Two of her particular interests include surgical oncology and fracture repair. She is also researching and evaluating prognosis and survival time for dogs with functional thyroid tumors that were surgically excised. Dr. Frederick has completed a number of marathons. She also enjoys kayaking, swimming, cycling, and attending Penn State football games. Pickles is her mixed breed dog diagnosed with inflammatory bowel disease. 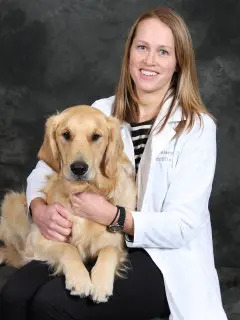 Dr. Kara Gornik's particular clinical interests include golden retriever pigmentary uveitis, the genetics related to ocular conditions, and inherited retinal conditions. 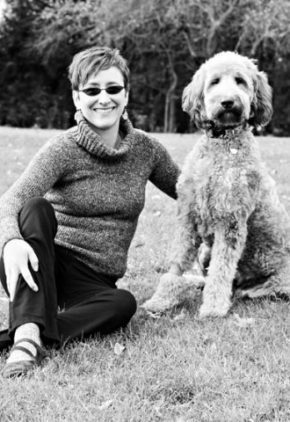 Some of Dr. Gornik’s favorite pastimes include camping, traveling and hiking with her two dogs, Brie and Rascal. She also has a cat name Nacho. 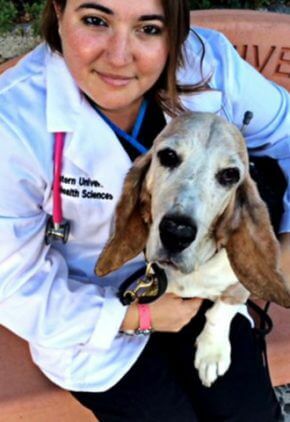 Dr. Christine Guenther worked as a product manager for a healthcare software company before going to vet school. Her particular interests include respiratory diseases, sepsis and coagulation disorders. Dr. Guenther enjoys running, skiing, hiking, mountain biking and running trails. She also likes yoga and cross training with her husband. The couple has five dogs, three cats and five chickens. Dr. Lindsey Jett is a resident in our critical care service. Her particular interests include management of septic shock and postop septic patients, emergent autoimmune disease and mechanical ventilation. 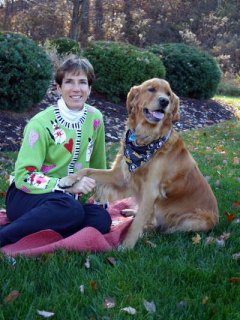 Dr. Jett’s favorite pastimes include yoga, gardening, kayaking and spending time with her pets. Jack is her Newfoundland mix, and Jewel, Jasper and Jasmine are her cats. A board-certified specialist, Dr. Johnson still considers himself a generalist and enjoys addressing a wide variety of diseases, including renal, gastrointestinal/liver/pancreas, endocrine, pulmonary, immune, infectious – and how all of those interact. He also enjoys the spatial aspect of imaging (particularly ultrasound, but also CT and MRI) and the interventional opportunities it provides. Dr. Johnson loves activities involving water: fishing, kayaking, sailing, scuba diving, snorkeling and taking care of the family's eight aquaria. He and his wife, also a veterinarian, have three children and two mixed breed dogs, Noodle and Ogie. After working in primary care and emergency medicine in Chicago for 12 years, Dr. Joey Kallem joined us in Pittsburgh where she loves complicated medical emergencies. She also has a special interest in exotic animal medicine. Married with two boys, Dr. Kallem is a black belt in karate and Tae Kwon Do. She also loves to read, paddle board and ride her horse Rudy. The family has two dogs, three cats, one lizard, two birds, one fish and a rat living in the house with them. Dr. Rachel Keller Vaughan finds the field of ophthalmology appealing because it combines medicine cases with surgical cases, allowing her to practice a variety of medicine. 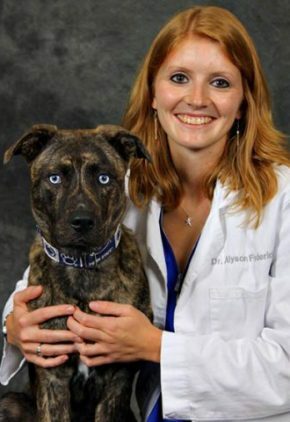 She also likes the variety of species she is able to see and treat as an ophthalmologist. 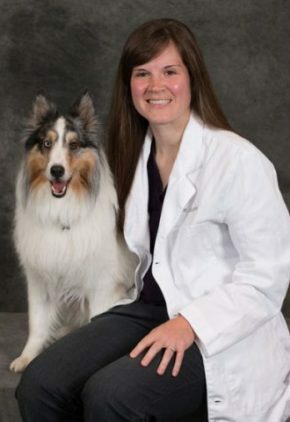 Volunteering within her field is important to her, and she has served as both a committee member and board member on the American College of Veterinary Ophthalmology (ACVO) Vision for Animals Foundation. 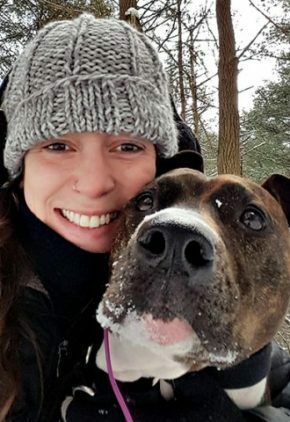 She is also a consultant with the Pittsburgh Zoo and PPG Aquarium and participates in the ACVO annual free Service Dog Eye Exam Event. Particular clinical interests include immune-mediated disease cases, such as uveitis and retinal detachments, and eyelid, corneal and cataract surgeries. Her research interests include sudden acquired retinal degeneration syndrome and equine ophthalmology, both of which resulted in publications and teaching opportunities. Dr. Keller Vaughan is active in local civic and school organizations. She and her husband, who is also a veterinarian, have a son who loves baseball and cats. The family spends time together hiking, camping, traveling and reviving their older home. Shorty, who is short, and Willie, who has one eye, are the family dogs. Joe Patti, the household "boss" cat comes from Pensacola, Florida where he was rescued outside of Joe Patti's fish market as a kitten. Winnie, is their older diabetic cat, and Chibi (Japanese for Pipsqueak), is their newest cat who received a life- saving transfusion from the generous blood bank donors at PVSEC. 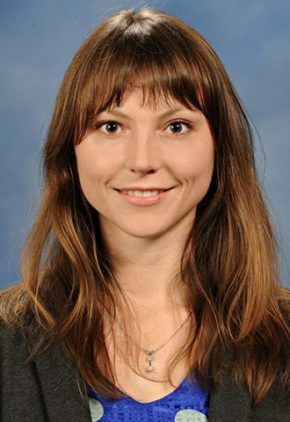 Dr. Emily Klosterman especially likes treating kidney disease and endocrine disease, and her nephrotic syndrome research earned her the American College of Veterinary Internal Medicine Distinguished Resident Research Award. Dr. Klosterman mentors with the Big Brothers Big Sisters of Greater Pittsburgh. A self-professed news junkie, she admits to listening to podcasts all the time. She loves to travel and tries to take at least one international trip every year. She has two cats, Mimi and Lucy. Dr. Michael Kraun’s clinical interests include general soft tissue and reconstructive surgery, tibial plateau leveling osteotomy (TPLO) for treatment of cranial cruciate ligament disease, less invasive fracture repair, spinal decompressive surgery, and procedural innovation/modification. He is also passionate about teaching, pain management, and issues pertaining to patient safety. Dr. Kraun enjoys playing sports, especially hockey. An avid college football fan, he is a proud Georgia Bulldog. He loves the outdoors, especially being on the water, and likes to incorporate music into his life whenever possible. He has two cats, Metzy and Cali, and two dachshund-mix brothers, Milo and Graham. Dr. Kristen Krisulevicz toxicity, trauma and urinary obstruction cases particularly gratifying to treat. 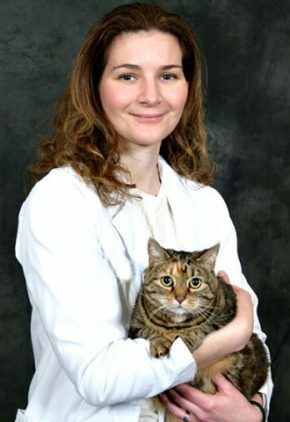 Dr. Krisulevicz enjoys spending time with friends, family and her two cats, Earl and Cameron. Dr. Claudio Lagoa’s special interests include emergency surgeries, trauma, shock, and cases involving severe infection and inflammation. 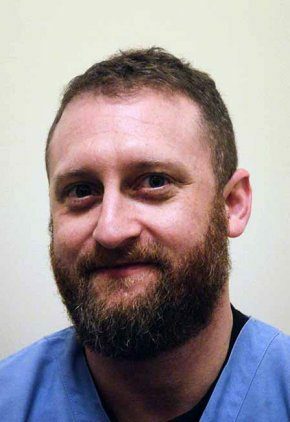 He spent a number of years in medical research studying trauma, shock and infection in the surgery department at the University of Pittsburgh and at Michigan State University. Dr. Lagoa enjoys traveling, sea kayaking, playing the piano and cooking. He also breeds and shows Irish setters; Lucy and Roni are the two in his family. He and his wife have one daughter. 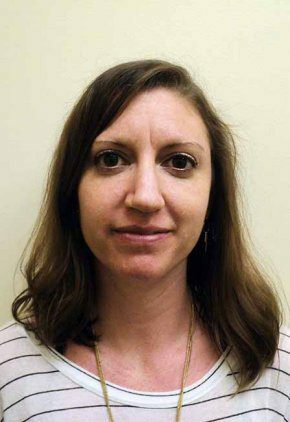 Dr. Jaime LaVelle earned her bachelor’s degree in primatology, and worked on behavioral research projects on non-human primates before vet school. Her particular clinical interests include polytrauma, immune-mediated disease, endocrinopathies, neurologic disease and sepsis. Internship, Small Animal Medicine & Surgery, Friendship Hospital for Animals, Washington D.C.
Dr. LaVelle’s favorite pastimes include bike riding, traveling, working with social justice groups, reading, wine and beer tasting, watching movies, attending concerts/festivals, and hanging out with her husband and their two cats. Devlin and Nanook are her cats. 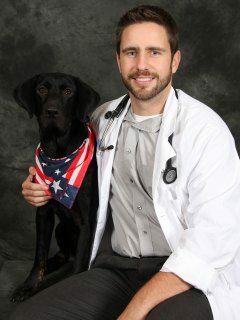 At North Carolina State University (NCSU), Dr. Edward MacKillop was awarded the American College of Veterinary Internal Medicine Resident Research Award for his project on the incidence of urinary tract infection in dogs after surgery for intervertebral disk disease. He was the cofounder of the NCSU College of Veterinary Medicine Clinical Research, Education, And Treatment of Encephalitis (CREATE) Fund, which is intended to provide financial assistance for the diagnosis and treatment of inflammatory central nervous system disease in dogs and cats along with supporting small clinically-based research projects. A prolific writer, he has been published numerous times and is a reviewer for a number of professional journals. Dr. MacKillop is particularly interested in malformations of the central nervous system and axial skeleton. Dr. MacKillop and his wife have three daughters. Their pets include an English bulldog Tulip, calico cat Peach, and momma and baby cat, Mochi and Tsubu. One of Dr. MacKillop’s favorite pastimes is collecting console video games. Dr. Meredith Maczuzak's clinical interests include polytrauma, parvoviral infections and acute abdominal syndrome. 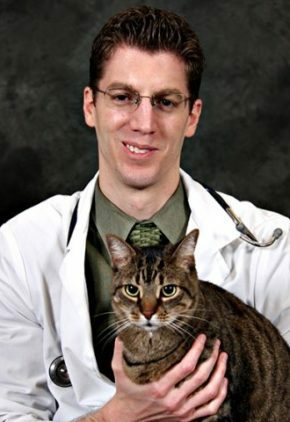 Dr. Maczuzak has a black cat she calls Dr. Tipper Bruce, PhD, an expert in seasonal conifers and décor. Her great Dane is Sir Lloyd Von Maczuzak. 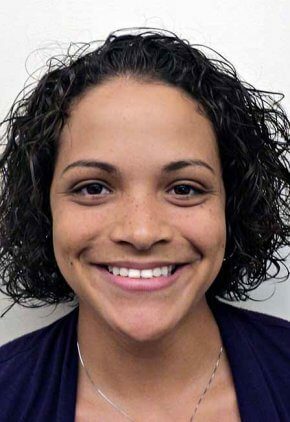 Dr. Alyssa Matos is a small animal medicine and surgery intern. Born and raised in Puerto Rico, Dr. Matos loves the beach. She also likes playing sports, especially volleyball and swimming. Her furry family member is Tobby, an Italian greyhound. 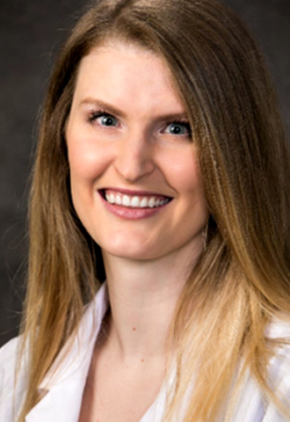 Passionate about emergency medicine, Dr. Kayleigh McCormick's clinical interests include gastric dilatation volvulus, abscesses and urethral obstructions. An avid reader, Dr. McCormick enjoys most genres. She also loves being in the water and is happy that she can swim year-round in Arizona. She grew up with a beloved Welsh terrier named Lucky. 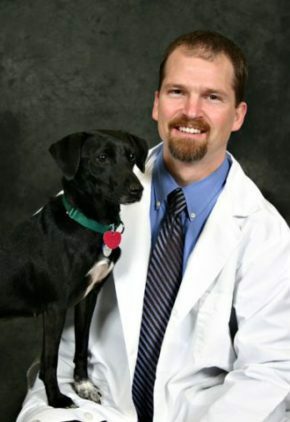 Dr. Michael McGinley’s particular clinical interests include urethral obstruction and hemorrhagic gastroenteritis. Dr. Kurt Michelotti is a resident in our surgery service. He is particularly interested in minimally invasive surgery. 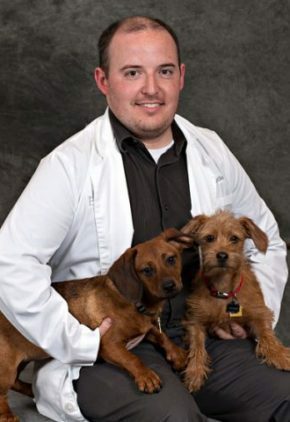 Dr. Michelotti has two dogs, husky mix Lucy and Pomeranian Meelo. One of Dr. Michelotti’s favorite pastimes is enjoying a glass of wine while sitting in the woods letting the dogs run and play. 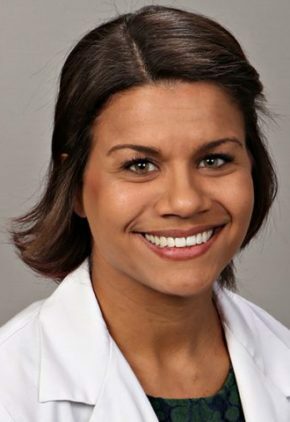 Dr. Shaina Mooshian particularly enjoys transfusion medicine, mechanical ventilation, and treating sepsis and traumatic brain injuries. 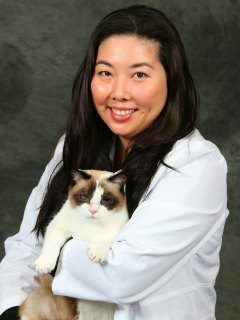 Dr. Mooshian loves to sing, and enjoys traveling, cooking and gardening. Her pets include dogs Ripley, Eros and Apollo; cats Khaos and Raja; and rats Odin, Ramses, Maui and Loki. 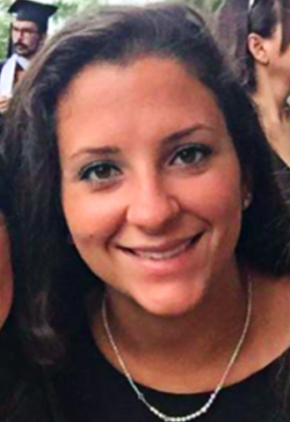 Dr. Amirah Nasr is a small animal medicine and surgery intern. Dr. Nasr lifts weights competitively and enjoys reading, watching true crime documentaries and listening to podcasts. One of her favorite pastimes is hiking with her cattle dog mix Finn. She also has two cats, siblings Gandalf and Peeto. 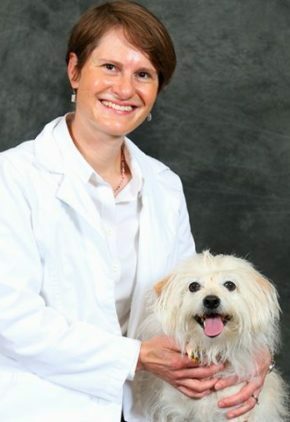 Dr. Rebecca Newman worked as a researcher at the National Institute of Child Health and Development in Bethesda, Maryland before vet school. 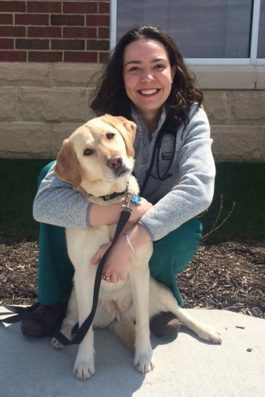 She chose the veterinary medical oncology field because it allowed her to combine her love of research and molecular biology with medicine. Extensively published, she has been invited to make presentations at numerous conferences and continuing education events. Dr. Newman has an active lifestyle and loves playing sports, like ice hockey and soccer, and running after her children. In her quieter time, she enjoys baking and gardening. 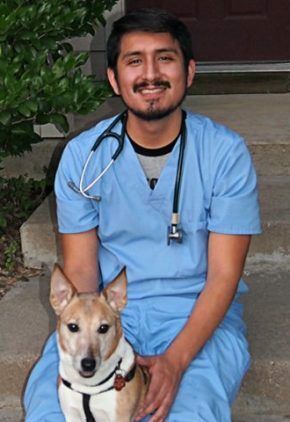 Dr. Jose Oyola Morales is a small animal medicine and surgery intern. Dr. Oyola Morales enjoys cooking and playing video games. His pets include Jack Russell terrier Lari and cats Inca and Maya. Dr. Anthony Pardo is especially interested in respiratory surgical conditions - tracheal collapse, laryngeal paralysis and in orthopedics - knee surgery, fractures and hip replacement. He spent five years as an associate professor of surgery at the University of Tennessee and is currently an adjunct assistant professor with the University of Pittsburgh School of Medicine. His current research interests include tracheal collapse in the toy breed dog; management of cranial cruciate ligament deficiency in the dog; canine hip replacement; and oncologic surgery. 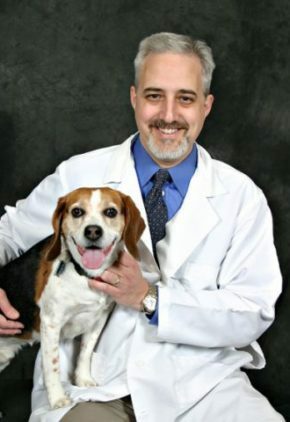 Dr. Pardo is on the executive board of Humane Animal Rescue, a local animal shelter in Pittsburg. Some of his favorite activities include fly fishing, bowling, bicycling and hiking. He is married and has three sons and three cats. Dr. Carol Park enjoys all aspects of emergency medicine. 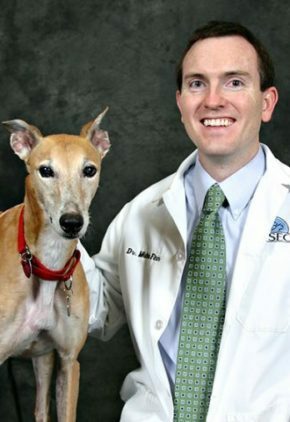 Dr. John Payne is a pioneer in the field of veterinary arthroscopy and has been a sought-after lecturer and instructor in the field for over 20 years. He spent nine years as a professor of surgery at the University of Missouri and is currently an adjunct associate professor with the University of Pittsburgh School of Medicine. 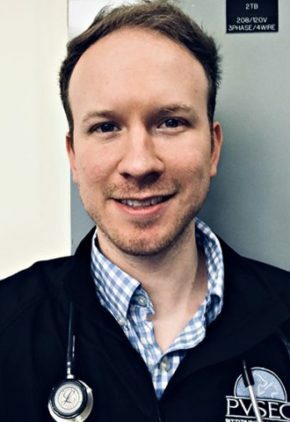 He serves as a consulting surgeon for a number of zoos at major cities throughout the Midwest and for manufacturers of minimally invasive surgical equipment. 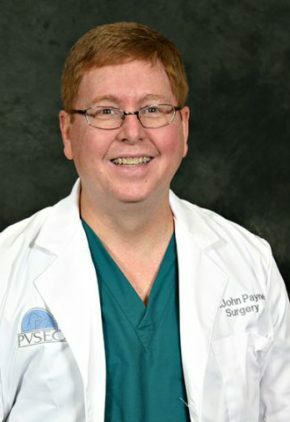 As an expert in the field, Dr. Payne enjoys arthroscopy and other minimally invasive orthopedic procedures. Other clinical interests include joint reconstruction and fracture repair procedures. Dr. Payne volunteers his time as a board member of the Pittsburgh Zoo & PPG Aquarium and with annual Christian Coalition Outreach fundraisers. Married with two sons, he enjoys fly fishing and shark diving, and is a licensed pilot. The family has a small farm and two dogs, black lab Molly and Chesapeake Bay retriever Roxy. Dr. Tracey Peterson's clinical interests include endocrinology, immune-mediated disease, gastrointestinal, liver and renal disease, and infectious diseases. She is highly skilled in respiratory and gastrointestinal endoscopy including non-invasive foreign body retrieval. She also has extensive experience in abdominal ultrasonography, bone marrow aspirates and core biopsies and both esophageal and endoscopically-guided gastric feeding tube placement. 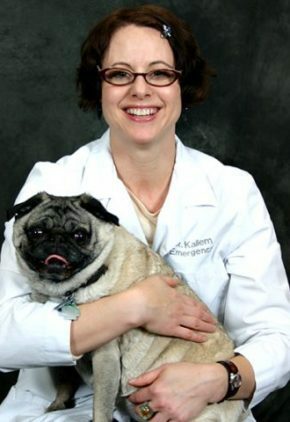 Dr. Peterson enjoys spending time with her husband and dogs. She also stays busy maintaining her 15,000 gallon koi pond with over 50 koi. Dr. Rocia Ramirez is a resident in our emergency and critical care services. 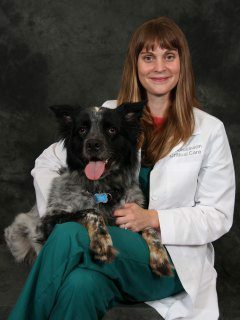 Dr. Roxanne Reiter is a small animal medicine and surgery intern. Dr. Reiter likes spending time outdoors, climbing in the rock gym and scuba diving. To relax, she spends her evenings cooking and relaxing with her two tabby cats, Baker and Cupcake. Dr. Elizabeth Ross is a resident in our critical care service. Dr. Ross is originally from South Florida. She loves hiking, photography and cats. Larry and Layla are her two cats. 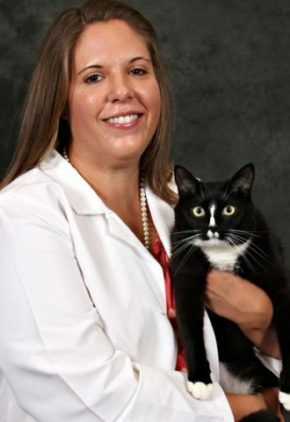 Before joining our team, Dr. Saile worked as an assistant professor of companion animal surgery at Louisiana State University where she served as chief of the companion animal surgery service and program director for the small animal surgery residency program. She has lectured around the world, and has authored and coauthored numerous book chapters and scientific papers. One of Dr. Saile’s favorite pastimes is training for and competing in triathlons and running events. She also enjoys traveling and is an avid baker. 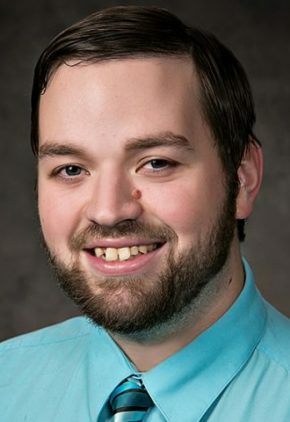 Dr. Saile has three pets, terrier mix Gromit, suspiciously tall beagle Huck and a cat named The Kid. 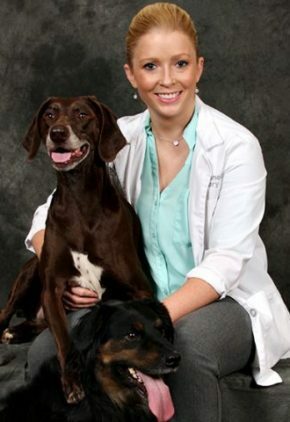 Dr. Seana Schade is a small animal medicine and surgery intern. Dr. Schade enjoys running and weightlifting. She has a mixed breed rescue dog, two ferrets and a ball python. 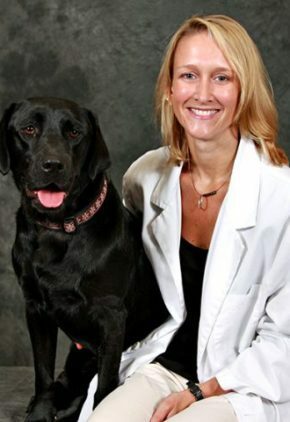 After her residency, Dr. Lisa Sepesy worked in academia at Ontario Veterinary College and Cornell University. Her particular clinical interests include endocrine and gastrointestinal diseases, and hepatic disorders. Dr. Sepesy returns to Ithaca, NY every year to participate in an annual fundraiser in which she swims across Cayuga Lake. Other interests include travel, hiking and birding. She has two golden retriever rescues, Snicker and Amber, and a Yorkie/Maltese mix named Little Bear-Bear. 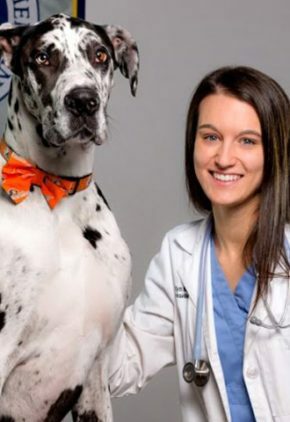 During veterinary school, Dr. Rachel Smith's peers selected her for an award that recognized the highest level of professionalism, collegiality and compassion. Her particular clinical interests include endocrinology, particularly diabetes, gastrointestinal disease and urinary tract disease. Dr. Smith can often be found at a sporting event or somewhere near the water. Payton is her Labrador retriever who came to the family after deciding to make a career change from being a service dog. Dr. Loren Sri-Jayantha is an intern in our surgery service. Dr. Sri-Jayantha says that he lives to eat and eats to live, so it’s no surprise that cooking is one of his hobbies. He also enjoys gardening, and building/crafting things. He has two cats Luna and Ripley. Dr. Kelsey is a resident in our emergency and critical care services. 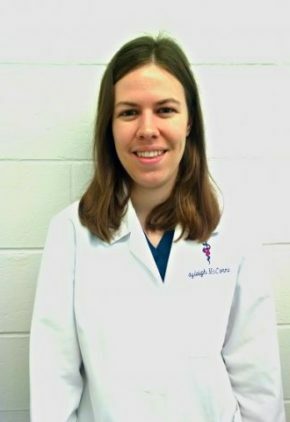 Dr. Katherine Swales is a small animal medicine and surgery intern. 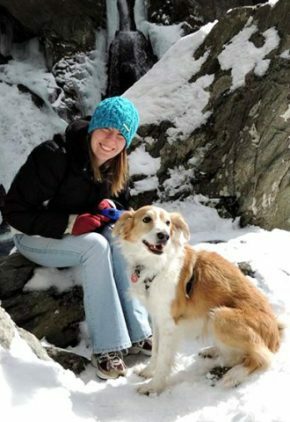 Dr. Swales likes to hike with her husband and their five dogs. Three of the dogs, Rage, Pink and Fury, are nationally-ranked Plott hounds who compete in various sports and venues. Keena is a veteran military service dog, and Bruce is a Pomeranian mix found on the side of the road. Dr. Kelsey Turley is an intern in our emergency and critical care services. 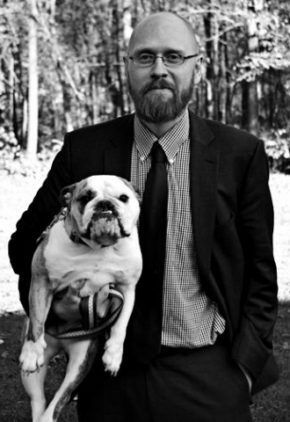 Dr. Turley has a pit bull named Penny Lane. 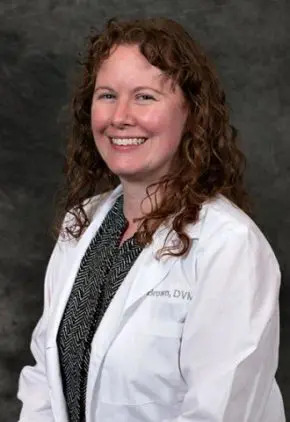 Dr. Bridget Urie’s particular clinical interests include hematopoietic malignancies, thyroid carcinoma, immune-mediated hematologic disorders, and palliative, hospice and end-of-life care. 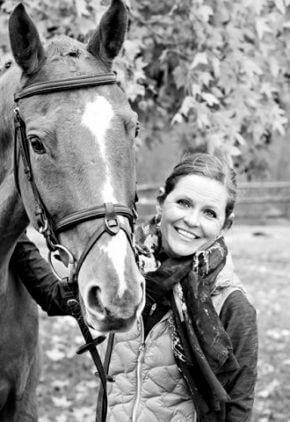 Dr. Urie volunteers her time with local shelters and off-the-track thoroughbred rescue and rehoming organizations. She enjoys Auburn football, Pirates baseball, photography and just about anything outdoors. She and her husband, another veterinarian, have many pets: Googie, the lymphoma-surviving boxer; Samford T. Coats, the geriatric lab; cats Weagle C. Newton and CBSB; Shrimp, an off-the-track thoroughbred; and Fina, a retired, bay thoroughbred. Skilled in all aspects of imaging, such as radiography, CT and MRI, Dr. Christopher Warrington especially enjoys performing diagnostic ultrasound studies, and finds it gratifying to either directly identify the primary cause for the patient's illness or lead the clinician to the diagnosis, via guided sampling of a lesion or recommendations for additional testing based on ultrasound findings. Dr. Warrington spends his free time playing broomball at the local, regional and national levels. He also enjoys reading fantasy/science fiction and watching movies. He is married with two children, and a family cat, Ziggy. 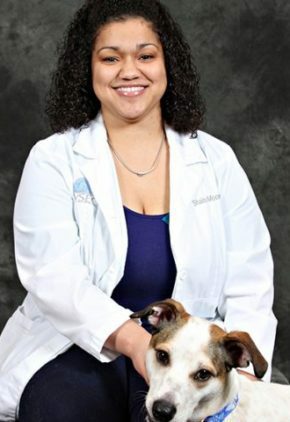 Karen is passionate about helping patients enjoy their lives to the fullest, and for helping families understand their pets’ illness and treatment in order to make the best decisions. She enjoys learning about rare forms of cancer, radiology and advanced imaging. 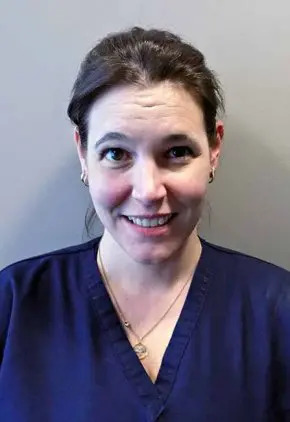 Kristen strives to give her patients the best anesthesia treatment and pain management, and finds complicated abdominal surgery and thoracoscopy to be particularly interesting procedures. She enjoys time with her husband and daughter, as well as cooking, baking and running, and has two dogs, Tucker and Olive. 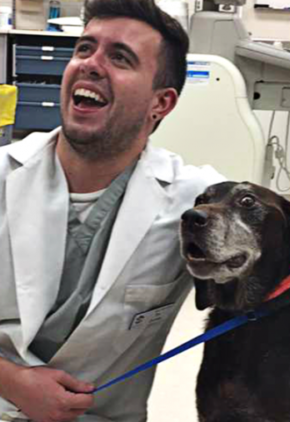 A lifelong love of animals led Kyle, who once dreamed of being a zookeeper, into the veterinary field and emergency care, where he relishes the look on families’ faces when a pet has been saved. He finds respiratory cases to be the most interesting, with the opportunity they present for using advanced skills. Relieving patients’ pain and giving them the best care possible are priorities to Vicky, who is also particularly interested in pediatric and thoracotomy surgeries. She works to help technicians attain their VTS certifications, and teaches bible school at her church. 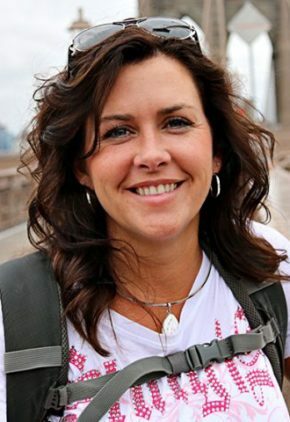 Married with two kids, she loves horseback riding and hiking with her four dogs.